2019 is all about restructuring. This year, we saw the early rumblings of market consolidation, rapid growth in enterprise cloud adoption and a renewed faith in open source. I predict these trends will continue, along with a few others. 1. Consolidation will continue: Based on recent acquisitions like IBM/Red Hat, Microsoft/GitHub and VMware/Heptio, I believe we'll see a steady dose of market consolidation in the next 12-18 months, as major enterprise tech companies rush to participate in the latest waves of innovation from open source and cloud native organizations. I think we'll see consolidation around a key technology, and the rest of the market will solidify around this prevailing solution. 2. Scaling from a crawl to a jog: Enterprises are going to ramp up their application workloads to have tens of thousands of cloud-based applications running at scale across a variety of cloud infrastructures -- public and private -- and across a variety of platforms. This momentum of scale is the result of enterprise adoption of cloud technologies. As they've grown more comfortable with cloud technologies, they're increasing adoption. It's a virtuous cycle, which we wrote about in the Foundation's latest research report, and it means we've gone from a crawl to a jog. We aren't sprinting yet -- but we'll see what picking up the pace looks like in 2019. 3. Upskilling as an investment in people: For the last twenty years, companies have been outsourcing or replacing current employees with already trained workers. Now, the technology is evolving at the same momentum as the training -- meaning the pool of talent is small, and most people with today's desired skill sets are already employed. This means companies will need to look to existing employees to fill out the workforce. Organizations can keep themselves ahead of the curve by building continuous learning cycles into their business model. It's smart -- on both human and financial levels. 4. Multi-platform, not a silver bullet: Too many companies believe a single technology is the solution to their problems. There's no such thing -- it's a combination of multiple technologies working together to meet your needs. We saw this in a report the Foundation put out earlier this year that shows that companies are more broadly deploying a combination of technologies like PaaS, containers and serverless in tandem. Multi-platform means you get to discover the right combination for your business. 2019 will be the year when enterprise organizations begin to embrace this versatility. 5. All eyes on China: I've been to China four times this year, and with each visit I am astonished by how quickly the technology is being developed. China is investing especially heavily in artificial intelligence -- so much so that we are going to start seeing China's momentum around AI guide the rest of the world's development and implementation of it in every industry, from automotive and healthcare to transportation and logistics. I predict the U.S. tech landscape will be profoundly affected by China's tech achievements. With nearly twenty years in the tech world, Abby Kearns is a true veteran of the industry. 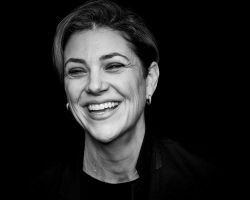 Her lengthy career has spanned product marketing, product management and consulting across Fortune 500 companies and startups alike. As Executive Director of Cloud Foundry Foundation, Abby helms the ecosystem of developers, users and applications running on Cloud Foundry, and works closely with the Board to drive the Foundation's vision and grow the open source project. Prior to Cloud Foundry Foundation, Abby focused on Pivotal Cloud Foundry as part of the Product Management team at Pivotal. She spent eight years at Verizon where she led Product Management and Product Marketing teams dedicated to the early days of cloud services. In her free time, Abby enjoys indulging in food and wine, and spending time with her husband and son.